Alcohol: Public consumption of alcohol, as well as carrying an open container of alcohol, is prohibited year-round. Bicycles: Bicycling can be a great way to get around the town of Wrightsville Beach. To stay in compliance with the state and town bicycling regulations, make sure you adhere to these rules. Bicycling on any sidewalk in town is prohibited. “The Loop” is included in this restriction, as it is a sidewalk. Every person operating a bicycle is required to ride as near to the right hand side of the roadway as possible. Persons riding bicycles upon a roadway shall not ride more than two abreast. Finally, North Carolina law requires every person under 16 years old to wear an approved bicycle helmet when operating a bicycle. Fishing: Fishing is not allowed from any of the bridges in Wrightsville Beach, including the Banks Channel bridges. Places that allow fishing include Johnny Mercer's Pier, some hotels that have sound-side piers and charter fishing boats that offer everything from fly fishing in the sounds to marlin fishing in the gulf stream. Fall can be a fantastic time for surf fishing, as well! Fireworks: Although some fireworks are legal in North Carolina, setting off fireworks in Wrightsville Beach is highly discouraged due to building density and the potential fire hazard. Fireworks also produce litter, which can spoil our beautiful coastline and potentially harm native plants and animals. Town ordinance prohibits open flames on any public property. Litter: No bottles, fires or cooking devices are allowed at any time. There are plenty of trash receptacles located along the strand and visitors are encouraged to utilize them to keep the beach litter-free. Noise: It is unlawful to create any unreasonably loud, disturbing sound levels within the town. Vegetation: The removal of sea oats or other vegetation is prohibited year-round. Vehicles: No vehicles are allowed on the beach strand or the berm system year-round. Parking: Metered parking is in effect from March 1st through October 31st. Meter rates are $2.00/hour. Parking is enforced from 9am to 6pm. For more information, visit towb.org/Parking/tabid/61/Default.aspx. Following these rules and guidelines will not only help ensure the safety of visitors and the environment, it will allow Wrightsville Beach to remain a beautiful and fun place to live and play for many years to come. 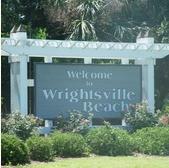 Are you considering investing in Wrightsville Beach real estate? Contact Hardee Hunt and Williams real estate company at 910-256-6998.